Why would I need self storage in Irwindale, CA? There are a variety of reasons why you might need self-storage in Irwindale, CA. How much is a storage unit in Irwindale, CA? The cheapest storage unit in Irwindale, CA is $49.00 per month. What size storage units do you have available in Irwindale, CA? In Irwindale, CA we have sizes that range from 5'x5' to 10'x20' to suit your storage needs. How much is it for a 5'x5' storage unit in Irwindale, CA? The cheapest 5'x5' storage unit in Irwindale, CA is $49.00 per month. Situated in the San Gabriel Valley, Irwindale is a very small city located in Los Angeles County. The city consists largely of rock quarries, which are an important part of its economy. 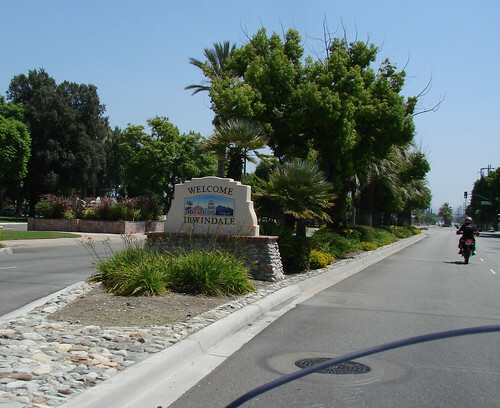 Despite its small size, Irwindale offers plenty of residential amenities, and is divided into a handful of distinct neighborhoods. The area that's now Irwindale was first settled in the 1850s. It was part of a large Mexican land grant given to Gregorio Fraijo, Fecundo Ayon and their families. Early residents quickly began to use the area's seemingly endless supply of rocks and sand to their advantage. Irwindale grew at a fairly slow pace until the automobile craze swept the nation. The new demand for paved roads across the country fueled the growth of the Irwindale rock industry. Irwindale incorporated in 1957, and its rock quarries continue to be one of the area's most valuable natural resources. Image via Flickr by | El Caganer – Over 6 Million Views! Irwindale and Los Angeles County are home to a large variety of major companies. Aggregate mining companies United Rock Products and Vulcan Materials Co. are two of the area's top employers. You'll also find a number of jobs at Southern California Edison, Ready Pac Foods and MillerCoors. Other large employers in the surrounding Los Angeles County include media companies Fox Networks, Sony Pictures and Walt Disney Co. If you're planning to look for a job in health care, there are plenty of nearby options, such as Kaiser Permanente, Cedar-Sinai Medical Center and Miller Children's Hospital. The University of California - Los Angeles and California State University provide a large number of education-based jobs. In Irwindale and the Greater Los Angeles area, the largest industries include professional and business services, leisure and hospitality, trade and transportation, education and health services. Schools in Irwindale are served by four different school districts. The Azusa Unified School District, the Baldwin Park Unified School District, the Covina-Valley Unified School District and the Duarte Unified School District manage a large number of elementary, middle and high schools throughout Irwindale and the surrounding communities. You also have a few private school options nearby. Utilities: Southern California Edison is the city's central energy provider. Residential water is managed by a few different organizations, including the Valley County Water District and the San Gabriel Valley Water Co. Garbage and Recycling: Curbside trash collection is provided in most areas of Irwindale. Transportation: Irwindale is home to several bus and light rail stations, providing convenient transportation throughout the city and its surrounding areas. The Santa Fe Dam Recreation Area and Irwindale Speedway cover much of the city's west and central sides, and most of Irwindale's housing is located in its southeastern corner. You'll generally find the city's most affordable homes along Irwindale Avenue, while larger and more expensive homes tend to be on the city's southeastern edge. The median home price in Irwindale is about equal with the Los Angeles County average, which is significantly higher than the national average. However, there are plenty of options in the area whether you plan to rent or buy, so you can choose something that's a good fit for your budget. Our lowest priced units in Irwindale, CA average $49.00 per month. 75 people have reserved units in Irwindale, CA in the past 30 days. There is 1 location within Irwindale, CA's city limits.